I can start posting screenshots and explanation which will make the article longer , instead I decided to show how to do it via PowerShell command line. 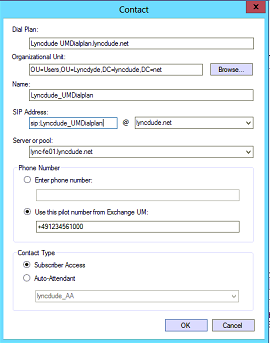 Using the following PowerShell command line you can create a UM dial plan, you will need to prepare two DIDs (Phone numbers) that will be used one for auto-attendant and one for the voice access number. NumberOfDigits: number of the digits of the phone number that is used to differentiate between users, is it by last 3 digits ,4 or whatever? CountryOrRegionCode: first two digits of your country code. UMDialPlan: the name of the dial plan that you created and want to assign this Auto-attendant to it. SpeechEnabled: if you want to make this auto-attendant speech enabled, so it can understand voice commands. 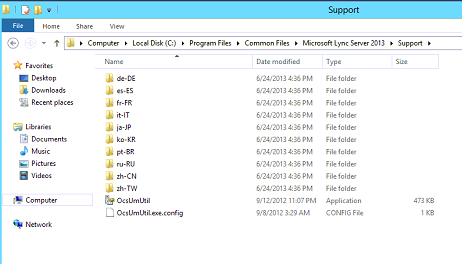 UM Service : this what we used to call Unified Messaging server in exchange 2010. 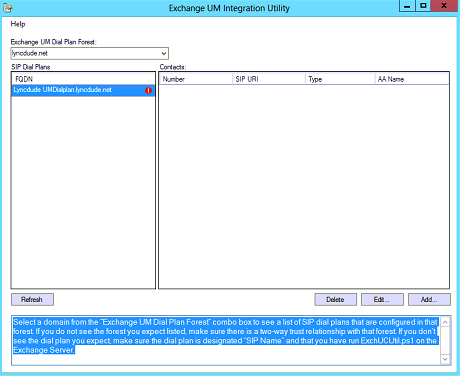 Final step on the Exchange Side is to run the ExchUCUtil.ps1 script on the Exchange server to do so using PowerShell, this will create UM IP-gateway for each Lync Front End exist in your infrastructer. 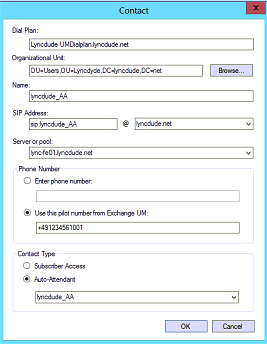 That’s it, Now Your Lync 2013 is integrated with Exchange 2013 UM, you can test it by enable a user for Unified messaging and call the voice mail from the Lync soft phone or desk phone. Page 2 is missing. I get a 404 error.